The November Meeting of the Flower Club will take place on Wednesday 12th at 8pm in the Jonathan Swift Hall. A demonstration by woodturner Emmet Kane. €5 admission which includes supper. Donard/Glen will hold a table quiz in Toomeys Pub , Donard on December 5th at 9pm. Support would be appreciated. The 5th and 6th classes will be very busy over the next few weeks with two rehearsals in Greystones taking place before their performance in the Bord Gais Energy Theatre on Sunday November 23rd. Best of luck to them. The first meeting of the coderdojo takes place on Wednesday November 12th from 7pm-8.30pm in the school hall. The club will cater for 7-15 year olds. Each member is asked to bring their own laptop. Parents of all under 12 children attending must remain for the duration of all meetings. Tesco Extra in Naas have decided to give Solas almost €500 from their community grant allocation based on all the tokens dropped into the Solas Box over the past weeks. Thanks to all who supported this effort and to the staff who promoted Solas with Tesco initially. A cursus is a monument consisting of a pair of parallel banks that may extend over considerable distances. They are probably of the Neolithic period. Two were recently identified in West Wicklow – at Lugnagun and Keadeen. The culture bus will travel to a play entitled “Lonely Hearts” by the Leeson Park Players on Thursday November 27th 2014. 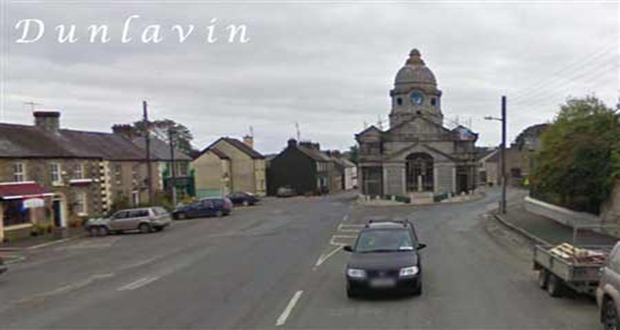 The bus will leave Dunlavin at 6.30pm. Local thespian Andrew Deering will take part in the play. Enquiries to 087 9693960. Admission to play €10. Congratulations to Andrew on having his play “Mitch and Titch” staged at a one act festival in Germany last week. The residents association are in the process of putting together their 2015 calender and are seeking old photographs. Photgraphs may be dropped into the parish office. All original photographs will be returned. Westside Community Games are appealing for help to prevent the club from disbanding. If anyone can help keep the club going please contact Loretta Wright, Linda Darker, Vera Reid or Marie Corrigan. The folk group have restarted after the summer break. They sing at 10am Mass on Sundays every two weeks. Singers and musicians welcome to join in. Contact Suzanne on 087/2977794. The Dunlavin Men’s Shed is now open, and meeting every Tuesday from 10am-2pm and Thursday nights 7.30pm to 9.30pm. in Murtagh’s. All welcome. Some interesting projects lined up for Christmas. Anyone willing to make puddings / trifles or brown bread for the senior citizen’s Christmas party on November 30th please contact Pauline in the parish office. The friendship club has restarted every Friday at 3pm in the parish centre. New members welcome. We walk / jog or run Monday / Wednesday and Friday nights at 7pm outside St.Kevins School in Dunlavin. This club is completely free. People can just turn up on the night and join people either doing a “Couch to 5K” or walk, jog or run. Bingo takes place in the Imaal Hall every Saturday night at 9pm.Jackpot waiting to be won now stands at €1600. The funds raised by the Bingo goes towards the upkeep of the Imaal Hall and well worth supporting.